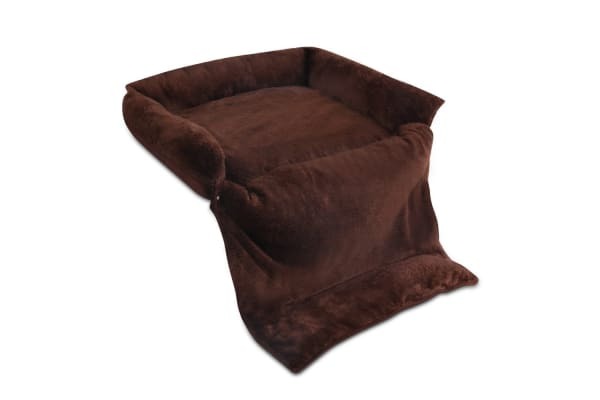 Not only for a comfortable pet snug, this Pet Bed can also be used as a protection barrier for your couch and chair from pet hair or scratches. Place it on your expensive sofa while you sit and cuddle with your precious ones watching TV. And when your pet needs a little more space, the Bed can be extended into a play mat. Simply place it on the floor and pull out the fold out section. The thick cushioned and soft plush surface will ensure that they have a good time chilling or napping on it. 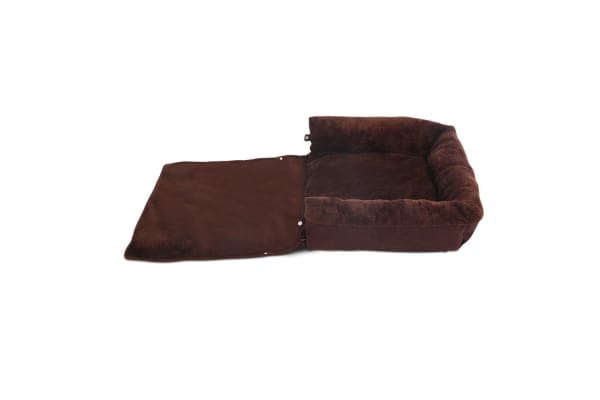 Machine washable cover with a foldaway design, the Pet Bed will let your pet enjoy a fresh and clean bed time after time.